CG Says: The Hyundai Elantra GT is redesigned for 2018. Elantra GT is the hatchback stablemate of the Elantra compact sedan that was redesigned for 2017. The Elantra sedan is unchanged except for the addition of a new SEL model. Hyundai claims better NVH (noise, vibration, and harshness) levels, improved structural rigidity, lower weight and improved ride quality and handling for both sedan and GT. Both Elantra sedan and GT offer a Sport model that is powered by a 201-horsepower turbocharged 1.6-liter 4-cylinder engine mated to either a 6-speed manual or 7-speed automated-manual transmission. Sport has unique styling and sport suspension. The Elantra sedan offers a choice of three engines. 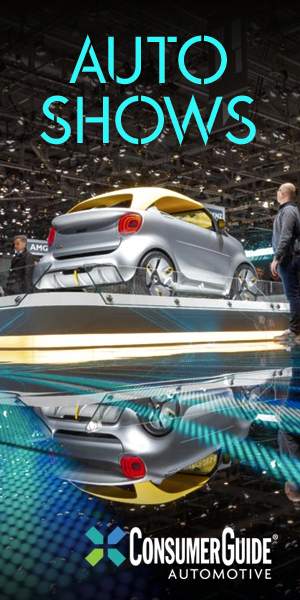 A 2.0-liter 4-cylinder with 147-horsepower is in all trims except the previously mentioned Sport and fuel-miser Eco, which is powered by a new turbocharged 128-horsepower 1.4-liter four. 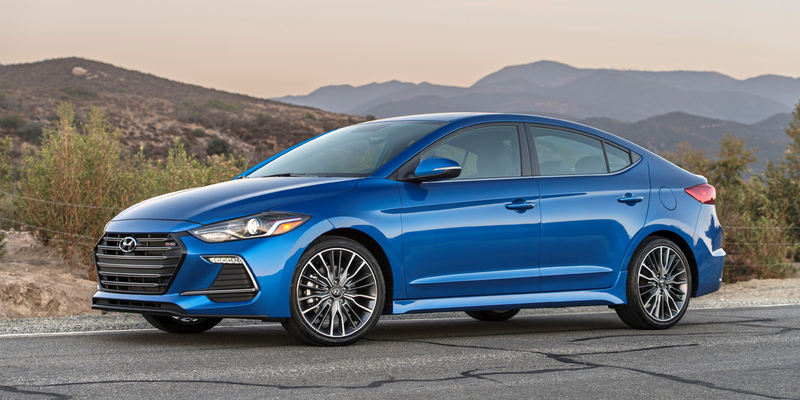 The Elantra GT’s base engine is a 162-hp version of the 2.0-liter engine. 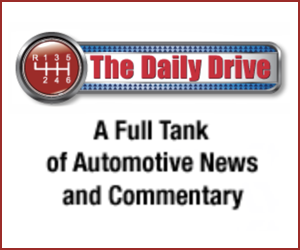 The 2.0-liter is available with 6-speed manual or 6-speed automatic transmissions; the 1.4-liter comes only with a 7-speed automated-manual transmission. 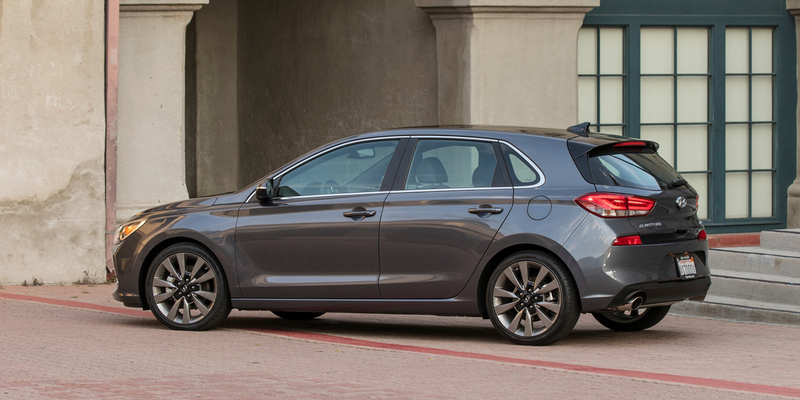 Elantra offers many safety and convenience features that are unusual for the class. Among the available features are steering-linked xenon headlights, hands-free trunk opening, heated rear seats, wireless cell-phone charging, adaptive cruise control, automatic emergency braking with pedestrian detection, driver-attention-alert system, blind-spot alert, lane-keep assist, and cross-traffic alert. The Elantra sedan doesn’t stand out in any one area. However, it has generous amount of features for the dollar and offers wide range of available equipment. The same can also be said for the Elantra GT, which also has a large cargo capacity that rivals some compact SUVs.